to connect, collaborate & learn, and share in a private online community. Membership is free to medical professionals who specialize in pediatric surgery and urology. Access is free to surgeons, nurses, medical students, and related medical professionals. W. Hardy Hendren III, M.D., is considered by many to be one of the leading pediatric surgeons of his generation. An important legacy of his career was his commitment to the education and training of those who care for sick children. 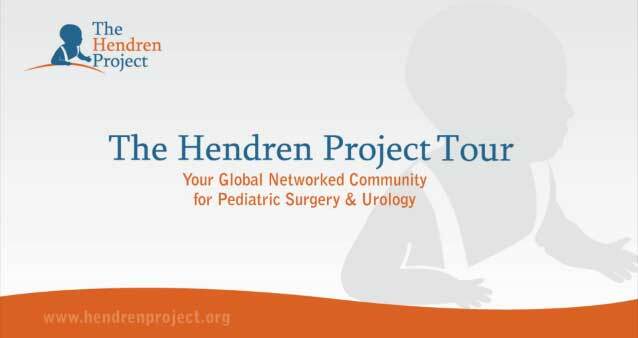 With the belief that knowledge must be widely shared so that pediatric surgical medical professionals can benefit from shared experiences of their peers, The Hendren Project was created. a 501(c)(3) nonprofit charitable organization. All gifts to the Foundation are fully tax-deductible.